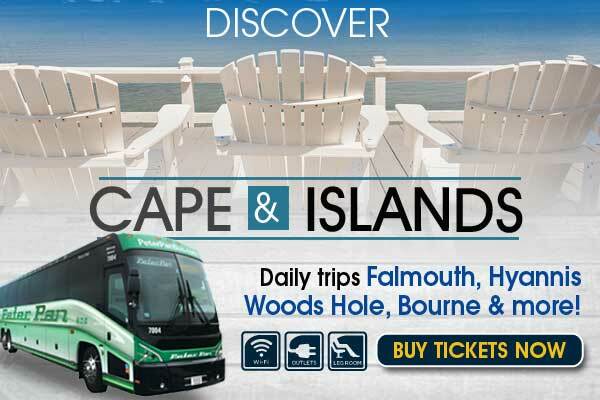 Peter Pan Bus Lines offers convenient and affordable bus service all across the Northeast – from major cities like New York, Boston, Providence, Hartford, Philadelphia, Baltimore, and Washington, D.C. to the beautiful, picturesque beaches and towns on Cape Cod and the Islands. Now getting to Cape Cod and Martha’s Vineyard is faster and more convenient than ever with Peter Pan. We offer frequent service from Logan International Airport in Boston, transporting travelers to Bourne, Falmouth, Hyannis and Woods Hole, where we connect to the Steamship Authority ferry to Nantucket and Martha’s Vineyard. Ferries from Hyannis to Nantucket are also available. 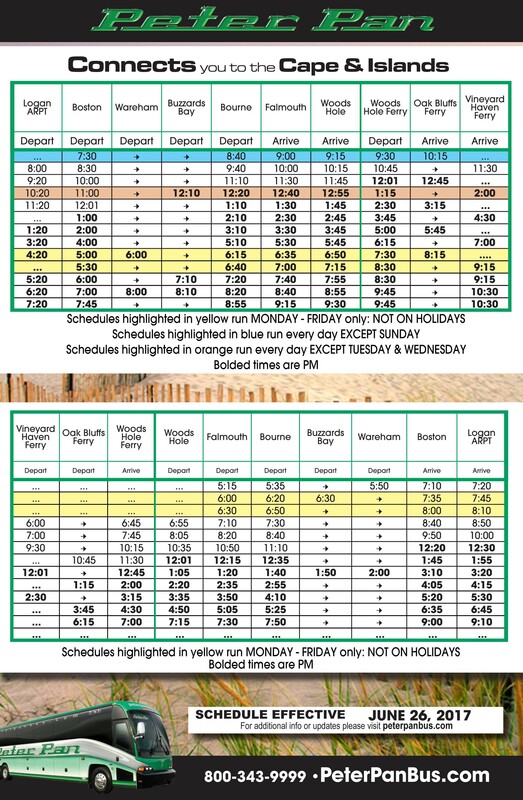 View Ferry Schedule Here. Purchase your bus tickets on www.peterpanbus.com, or at any Peter Pan ticket counter; and your tickets for the ferry may be purchased from The Steamship Authority.